LeBron’s costume is a good peg to propose an idea: Pro athletes should play in costumes on Halloween. 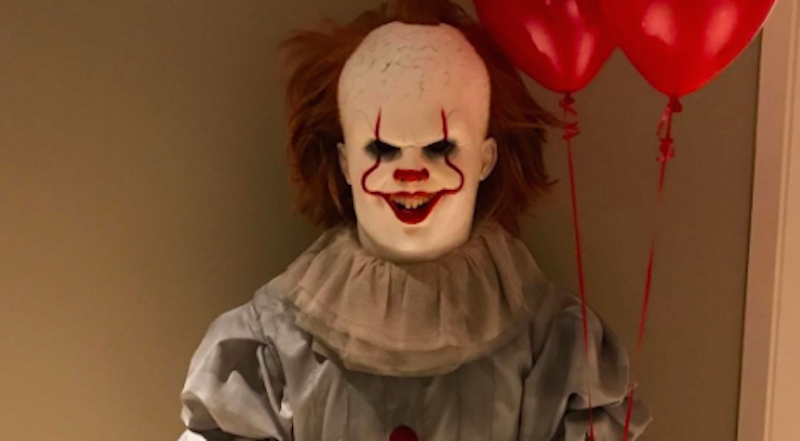 Pennywise is unnerving when he’s just sitting there, but picture a LeBron-sized Pennywise throwing down a dunk in transition, then doing that creepy dance from It. Andre Iguodala shouldn’t hog that mental image to himself; everyone else ought to be able to see it in real life. Steph Curry is outstanding; Jigsaw is a funny costume. What if Jigsaw crossed a defender up then sank a 35-foot three? The Oilers take exception to the check; Eric Gryba, inside that goofy inflatable T-Rex costume, drops gloves and fights Chewie. For a moment, the fans forget that the score is 26-14 and go wild. Please do not add any input, as this proposal is already perfect. Thank you.